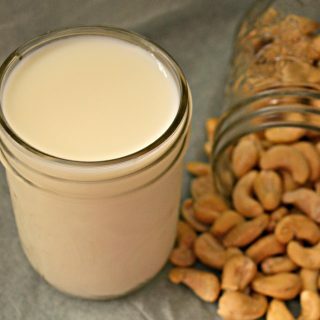 Creamy, fresh Homemade Cashew Milk. So quick to make that you will wonder why you ever bought your non-dairy milk at the store! I was about to write up a brand new oatmeal recipe when I realized that one of the ingredients in it was my homemade cashew milk. I thought that I had better share that recipe with you prior to sharing the oatmeal so here it is! This milk can be used in any way you would use regular milk. It is neutral and creamy and works well in sauces like my Baked Vegan Mac and Cheese, in oatmeal and in smoothies like my Healthy Chocolate Smoothie. My Homemade Cashew Milk, like my Oat Milk, is so easy to make that you will wonder why you ever purchased non-dairy milk at the store! The hardest part of the recipe is remembering to soak your cashew nuts. If however you do forget you can hurry the process along a little by soaking them in hot water for an hour or two rather than overnight as suggested in the recipe. Although you will lose some of the goodness from the nuts by doing this it’s ok on the odd occasion that you need milk quickly. When you make milk from other nuts you often need to strain it through a cheesecloth or nut milk bag to get a really smooth milk. With this cashew milk there is none of that. It is ready in minutes and is perfect to add to your hot drinks, oatmeal, smoothies etc. This recipe only makes a small amount of milk (just over 2 cups). I am the only one who drinks it in our household (the others are still on the dreaded cow’s milk!) and it only keeps for 4 days max so it’s best to make it in small quantities often. If you get through your milk more quickly than me though feel free to double the recipe. 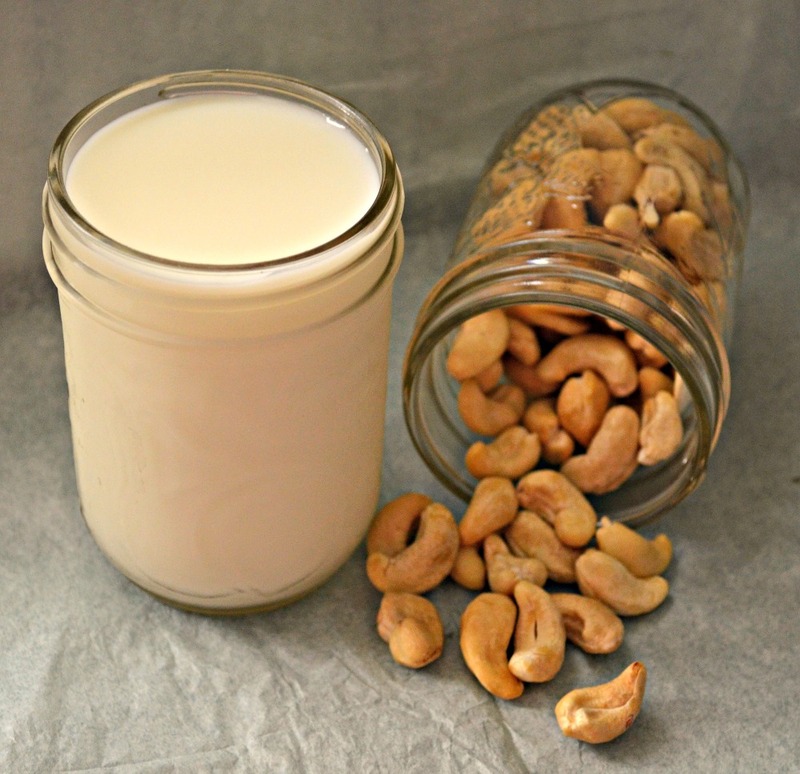 Creamy, fresh homemade cashew milk! The day before you want to make your milk, put your nuts in a lidded container (I use a mason jar) and cover with plenty of water. Put in the fridge and forget about them until tomorrow. If you forget to soak the nuts you can hurry the process by soaking them in boiling water for 30 minutes to an hour instead. After the nuts have soaked overnight, drain and rinse them in a sieve and put them all in a blender. Pit a medjool date and add it to the blender if you want a touch of sweetness (this step is optional). Add 2 cups of water to the blender. Start blending on a low speed. Do this for a few minutes then increase the speed gradually and blend until completely smooth. This only takes a few minutes. Check the consistency. I like it thickish so 2 cups of water is fine for me. If however you like it thinner then add up to another cup of water and blend again for a minute. Pour into a container and store in the fridge.